The Reliability Software modules of ITEM ToolKit provide a user-friendly interface that allows you to construct, analyze, and display system models using the interactive facilities. Building a hierarchies and adding new components could not be easier. ToolKit calculates the failure rates, including mean time between failure (MTBF), associated with new components as they are added to the system, along with the overall system failure rate. Project data may be viewed both via grid view or dialog view simultaneously, allowing predictions to be performed with a minimum of effort. Each reliability prediction module is designed to analyze and calculate component, sub system and system failure rates in accordance with the appropriate standard. After the analysis is complete, ITEM ToolKit’s integrated environment comes into its own with powerful conversion facilities to transfer data to other reliability software modules of the program. 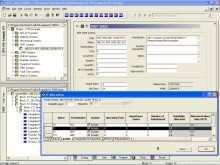 For example, transfer your MIL-217 project data to FMECA or your Bellcore project to RBD. These powerful facilities transfer as much of the available information as possible, saving you valuable time and effort. Users can interactively construct hierarchy diagrams that represent the structure of a system at various hierarchical levels. As new components are added to the system, each module automatically calculates and updates all dependent and overall failure rates. When adding components to your system, ITEM ToolKit automatically employs the applicable default values (Parts Count). The Parts Count generally requires less information such as part quantities, quality levels and the application environment. It is most applicable early in the design phase and proposal formulation. You have the option of modifying these values to meet specific system or project requirements (Parts Stress). The Part Stress Analysis requires more detailed information and is usually applicable later in the design phase. 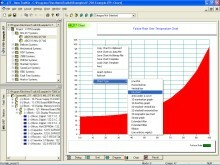 MTBF and Failure rates are automatically computed and displayed for all levels of systems and projects. 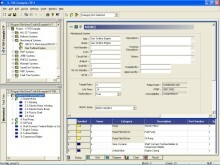 Each reliability software module of ITEM ToolKit includes redundancy and repairable options for calculations of availability and failure rates at block and system levels. A Linked Block is a graphical representation of an existing block that assumes the exact characteristics of another block in your System. Linked Blocks enable you to reduce repetitive data entry. Changes made to the source block will automatically update in the Linked Block. To download a free demonstration of our MTBF software click here.